The Chapel stands as testimony to the faith of its builders, the courage of those to whom it became a memorial and the spirit it imbues in every College boy. 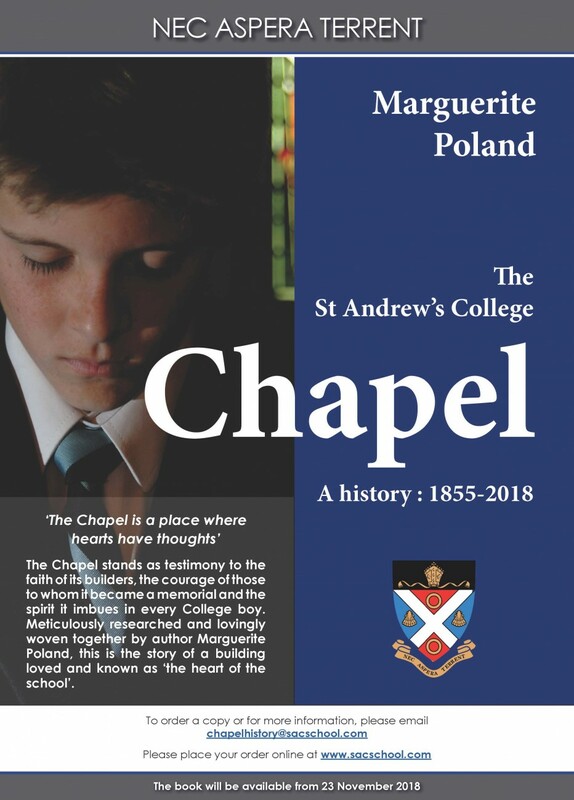 Meticulously researched and lovingly woven together by author Marguerite Poland, this is the story of a building loved and known as ‘the heart of the school’. The book will be available from 23 November 2018.